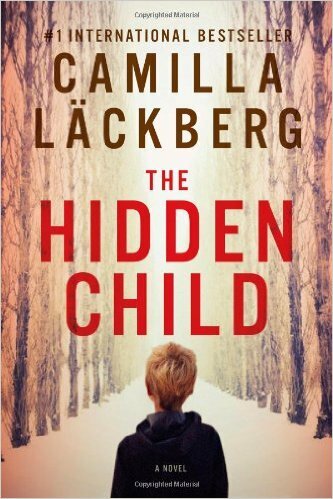 The Hidden Child by Camilla Lackberg. The brilliant new psychological thriller from worldwide bestseller Camilla Läckberg―the chilling struggle of a young woman facing the darkest chapter of Europe’s past. Crime writer Erica Falck is shocked to discover a Nazi medal among her late mother’s possessions. Haunted by a childhood of neglect, she resolves to dig deep into her family’s past and finally uncover the reasons why. Her enquiries lead her to the home of a retired history teacher. He was among her mother’s circle of friends during the Second World War but her questions are met with bizarre and evasive answers. Two days later he meets a violent death. Detective patrik Hedström, Erica’s husband, is on paternity leave but soon becomes embroiled in the murder investigation. Who would kill so ruthlessly to bury secrets so old? Reluctantly Erica must read her mother’s wartime diaries. But within the pages is a painful revelation about Erica’s past. Could what little knowledge she has be enough to endanger her husband and newborn baby? The dark past is coming to light, and no one will escape the truth of how they came to be . I wasn't real sure about this book but it turned out to be very enjoyable! If there was one drawback it was trying to figure out how to say Sweden and German names! Other than that.. I really liked it. The background is the time and place in which it took place. The time was 1943-1945 during the ending of WWII. There was everything you would want in this book. Many "secrets" to be figured out. A few murders to figure out. And how the combination of everything comes together! I surprised myself at reading a book over 500 pages before October ended. But I did! Finished the book yesterday and trying to post it here on Halloween! This was an interesting book that was also filled with a historical time and how people managed in such a horrid time. I will admit that the time period and it being "historical fiction" it helped a lot. If you are in to figuring out mysteries and "family secrets" this well might be a book for you! A suburban cop surveys a kitchen in disarray--a woman and child missing, a chilling note. This crime scene is unlike any he has ever seen. Michigan's rugged and beautiful Upper Peninsula is the setting for this absorbing tale of love and loss, beauty and terror, grievous sins and second chances. A deftly woven thriller from the popular author of the Rock Harbor novels. I enjoyed this book. There were a few back stories along with the search for the serial killer. The writing was quite good and easily followed. With the woman having amnesia it gave me a feeling that any moment she would remember... I can't even imagine not remembering your whole life! There is the back story of her X-husband and why they divorced. And surprises along the way. She hid the killer really well. I had no idea until it was obvious. Like I said, it was a good read. I had never heard of this author before (and found out she has LOTS of books out and many happen in the same place that this one occurs, so if you like the book.. there are many more! 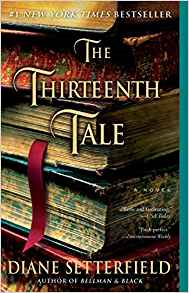 Settle down to enjoy a rousing good ghost story with Diane Setterfield's debut novel, The Thirteenth Tale. Setterfield has rejuvenated the genre with this closely plotted, clever foray into a world of secrets, confused identities, lies, and half-truths. She never cheats by pulling a rabbit out of a hat; this atmospheric story hangs together perfectly. "You have given nineteen different versions of your life story to journalists in the last two years alone." She [Vida] shrugged. "It's my profession. I'm a storyteller." "I am a biographer, I work with facts." The game is afoot and Margaret must spend some time sorting out whether or not Vida is actually ready to tell the whole truth. There is more here of Margaret discovering than of Vida cooperating wholeheartedly, but that is part of Vida's plan. The transformative power of truth informs the lives of both women by story's end, and The Thirteenth Tale is finally and convincingly told. Although this is a mystery.. and I do know the outcome, I still enjoyed reading this book. Maybe it's because I am older and forget more, and forget it more quickly, I'm not sure. But I do know that as I began the book, it did not take long to grab hold of me to begin me on the journey that Margaret was about to begin when she decided to write Vida Winter's biography. It was nearly time. I moved swiftly. In the bathroom I soaped my face and brushed my teeth. By three minutes to eight I was in my nightdress and slippers, waiting for the kettle to boil. Quickly, quickly. A minute to eight my hot water bottle was ready, and I filled a glass with water from the tap. Time was of the essence. For at eight o'clock the world came to an end. It was reading time. I can't tell you how many times I have come close to this exact statement! At about seven each night I shut down my computer, turn off the living room television and fan and get ready to pile up my pillows on my bed to lean against and to grab my current read and "hit the bed to read"! Nearly ALL the time.. same routine! This book, as it has done three other times, just takes a hold of me and I read way more hours than I normally do. I don't seem to get as tired as quickly and one chapter leads to another and another as that's how this story goes..I just could not put it down. You find yourself wondering if you missed a clue to anything. (and more than likely you have, but that's ok you will remember them when the time is right.) And other times you find yourself trying to figure out a piece of the story before it is revealed by Vida Winter. This is such a fantastic book. The writing just refuses to let you go and do anything but continue reading, and once you are sucked into the mystery (which doesn't take long!) you just have to know those untold secrets ! It's so much fun when the secrets begin to emerge and you find yourself asking why you missed the clues! So subtle. But they are all there! I finally let it go knowing I would come back to it some day.... I am shocked that I let it go this long, but I did enjoy it as much as the first time I read it..........Yeah.. in my opinion.. The Thirteenth Tale is that good! 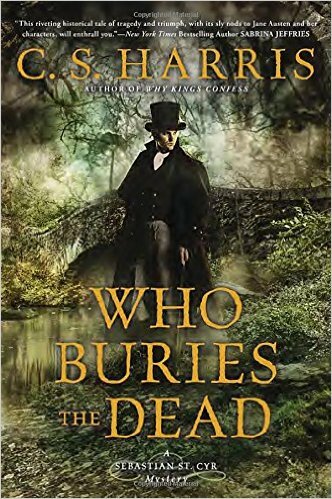 Who Buries the Dead by C.S. Harris. London, 1813. The vicious decapitation of Stanley Preston, a wealthy, socially ambitious plantation owner, at Bloody Bridge draws Sebastian St. Cyr, Viscount Devlin, into a macabre and increasingly perilous investigation. The discovery near the body of an aged lead coffin strap bearing the inscription King Charles, 1648 suggests a link between this killing and the beheading of the deposed seventeenth-century Stuart monarch. Equally troubling, the victim’s kinship to the current Home Secretary draws the notice of Sebastian’s powerful father-in-law, Lord Jarvis, who will exploit any means to pursue his own clandestine ends. Working in concert with his fiercely independent wife, Hero, Sebastian finds his inquiries taking him from the wretched back alleys of Fish Street Hill to the glittering ballrooms of Mayfair as he amasses a list of suspects who range from an eccentric Chelsea curiosity collector to the brother of an unassuming but brilliantly observant spinster named Jane Austen. This is the 4th book I have read by C.S. Harris in the Sebastian St. Cyr series. I liked this book very much. Sebastian St. Cyr is a good character. He's not a police officer nor a detective so he reports to no one but his wife and father-in-law. Harris is very descriptive of many scenes and you can feel the atmosphere in which the story takes place. Through this series the secondary story is of Sebastian who went from being single to falling in love and marrying his wife Hero and having a son. Other than the back story the St Cyr stories are based on the History of the time in England. Very good read but I might want to read a few of the older books first. The other 3 I've read are: Where Serpents Sleep, When Maidens Mourn and What Angels Fear. All enjoyable books. Carved in Bone by Jefferson Bass. On the campus of the University of Tennessee lies a patch of ground unlike any in the world. The "Body Farm" is a place where human corpses are left to the elements, and every manner of decay is fully explored -- for the sake of science and the cause of justice. The scientist who created the Body Farm has broken cold cases and revolutionized forensics, and now, in this heart-stopping novel, he spins an astonishing tale inspired by his own experiences. 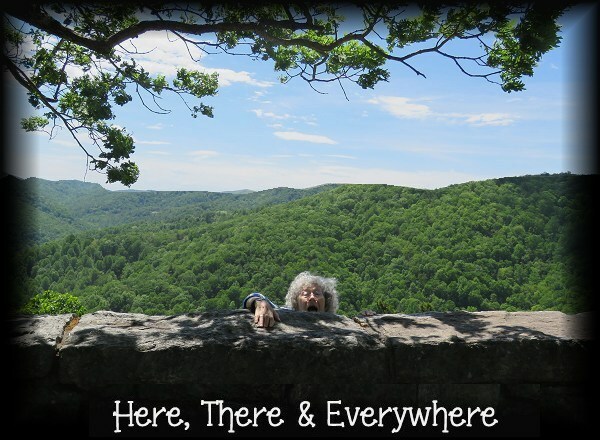 A woman's corpse lies hidden in a cave in the mountains of East Tennessee. Undiscovered for thirty years, her body has been transformed by the cave's chemistry into a near-perfect mummy -- one that discloses an explosive secret to renowned anthropologist Bill Brockton. 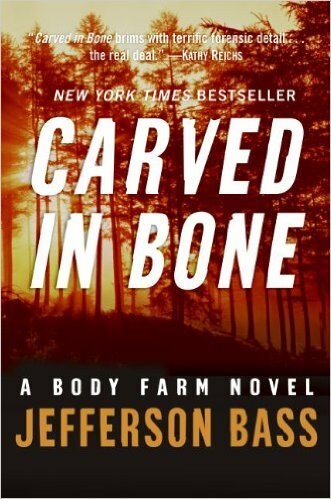 Dr. Brockton has spent his career surrounded by death and decay at the Body Farm, but even he is baffled by this case unfolding in a unique environment where nothing is quite what it seems. The surreal setting is Cooke County, a remote mountain community that's clannish, insular, and distrustful of outsiders. The heartbreaking discovery of the young woman's corpse reopens old wounds and rekindles feuds dating back decades. The county's powerful and uncooperative sheriff and his inept deputy threaten to derail Brockton's investigation altogether. So do Brockton's other nemeses: his lingering guilt over the death of his wife, and the fury of a medical examiner whom Brockton dares to oppose in court. Carved in Bone is a richly atmospheric, superbly suspenseful, and magnificently rendered trip into the world of forensic science, the heart of the Appalachian Mountains, and the dark passageways of the human psyche. Full of vivid characters and startling twists and turns, this thrilling novel heralds the debut of a major new voice in crime fiction -- and an unforgettable work from the hand of a scientific legend. This is the second most favorite book I've read for RIP. (the winner still being The Life we Bury) Loved the writing and short chapters! I love when an author includes some reality, such as "the body farm". Also love short chapters .. it makes me read more at a time. It's amazing when one realizes how much can be learned about bones and what happens to a body after death . It's nothing I could do, but it's a bit fascinating. 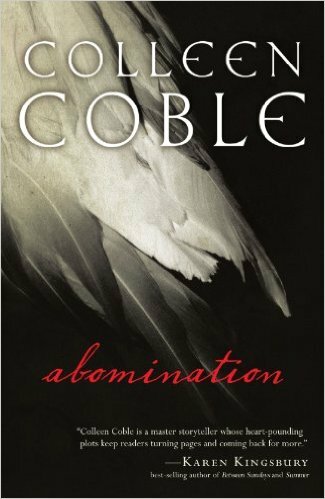 I will most likely read at least one or two other books by this author as he has quite a series labeled, "A body farm novel". I guess it helped my enjoyment that it takes place in the Smoky Mts. , a place where I was just 2 yrs ago. (happily I did not see the body farm!) and love the area and mts and trees so much that it made me feel like I was back there.